Does two and two equal four? Ask almost anyone and they will unequivocally answer yes. A basic equation such as this seems the very definition of certainty, but is it? 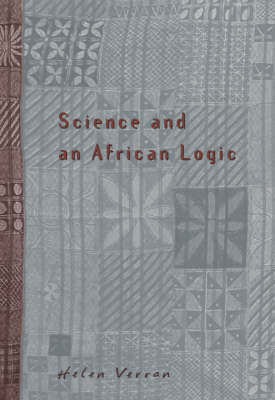 In this text, Helen Verran addresses precisely that question by looking at science, mathematics, and logic come to life in Yoruba primary school. Drawing on her experience as a teacher in Nigeria, Verran describes how she went from the radical conclusion that logic and maths are culturally relative, to determining what Westerners find so disconcerting about Yoruba logic, to a new understanding of all generalizing logic. She reveals that in contrast to the one-to-many model found in Western number systems, Yoruba thinking operates by figuring things as wholes and their parts. Certainty is derived not from abstract logic, but from cultural practices and associations. This is the story of how one woman's investigation in this everyday situation led to extraordinary conclusions about the nature of numbers, generalization, and certainty.